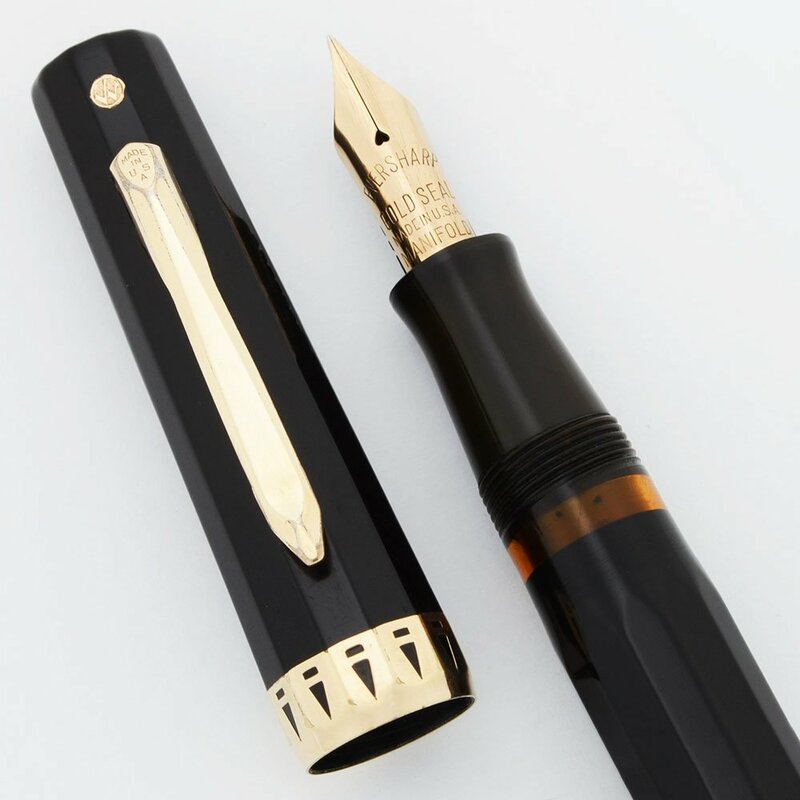 Airliner or second edition of the Eversharp Doric fountain pen. This is the Jet Black version with lever and Safety Ink Shut-Off valve. 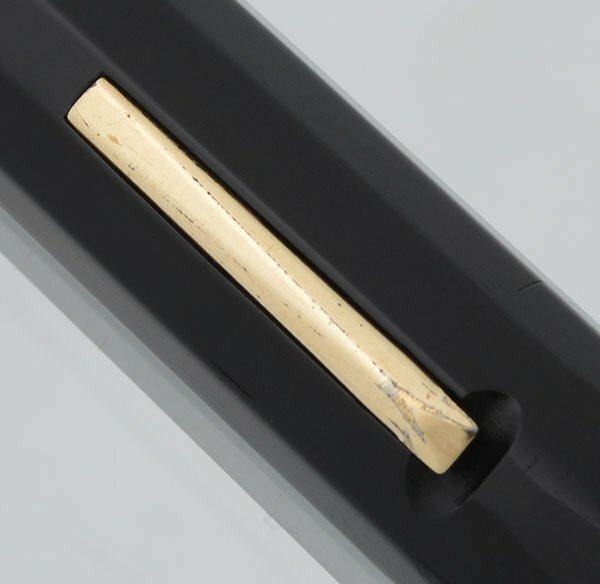 An Eversharp Gold Seal Manifold fine nib is installed. Excellent + condition, fully restored and working well. Product Name Doric II, we are calling it a "II" because it is from the second generation also known as the Airliner pens. 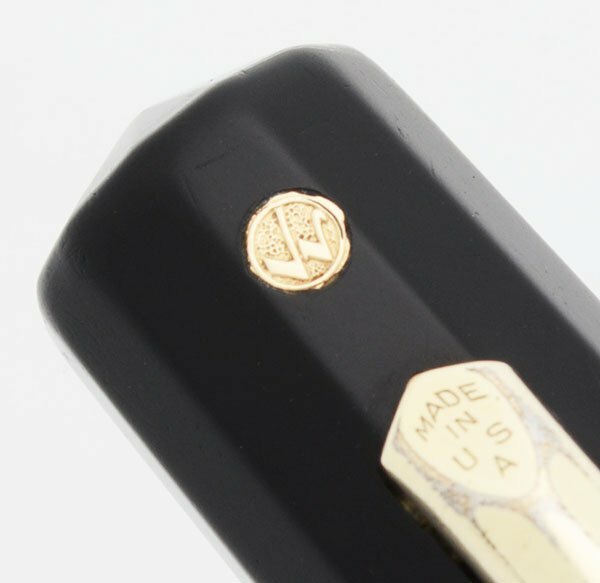 Manufacturer and Year Wahl Eversharp, USA -- Circa 1935, the design element including the Safety Ink Shut-Off were introduced around 1935. Length 5-1/8" We considert this the junior size. Filling System Lever filler pen. A new sac has been installed and it is working well. Color This pen is Jet Black, one of the Airliner Colors. 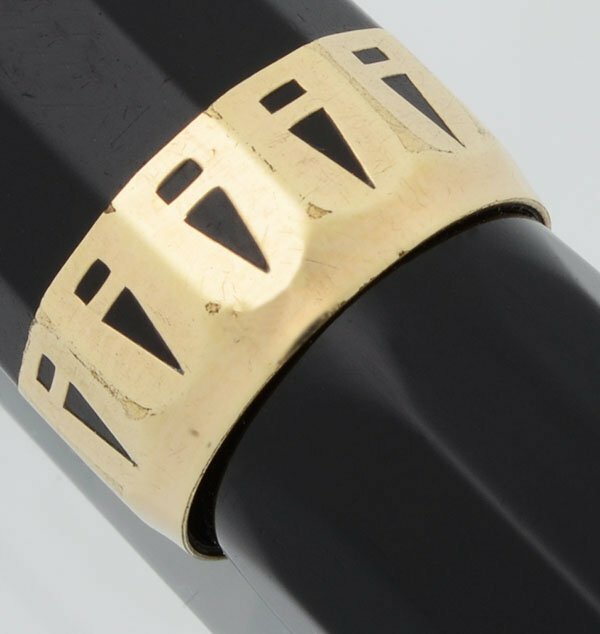 It has the Eversharp Gold Seal, a wide cap band with triangular cutouts and a transparent viewing window. 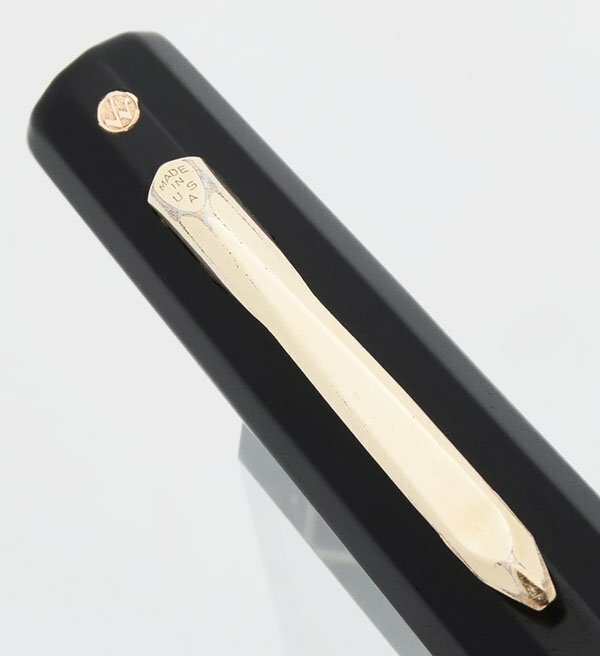 Nib FINE 14k Eversharp Gold Seal Manifold nib. It writes smoothly and is very firm. The feed has an "M" on it. This pen features the Safety Ink Shut-Off which was meant to prevent leaking when the cap is properly capped and the valve is maintained. Condition Excellent + condition. There is very little plating wear. The edges of the trim show small amounts of brassing but nothing that is very noticeable. The clip doesn't quite make contact with the cap and the barrel has slightly worn down facet edges from capping. The pen is working very well.